This large old elm tree in ANZAC Park is recorded (incorrectly) in early archives as an American elm. 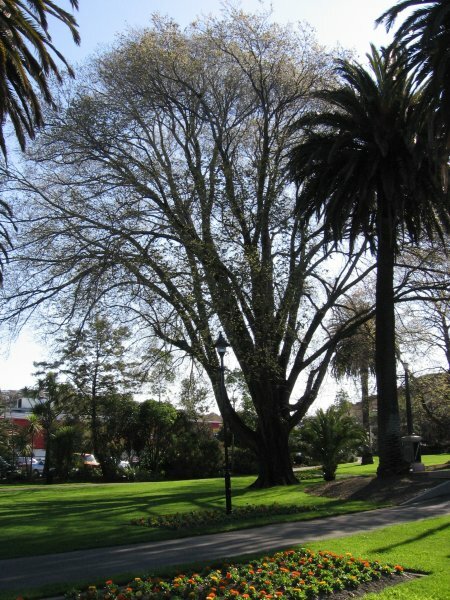 The tree is the largest of (formerly) two trees at this site that were thought to be the only American elms in New Zealand (Leigh & Jolliffe 1969). 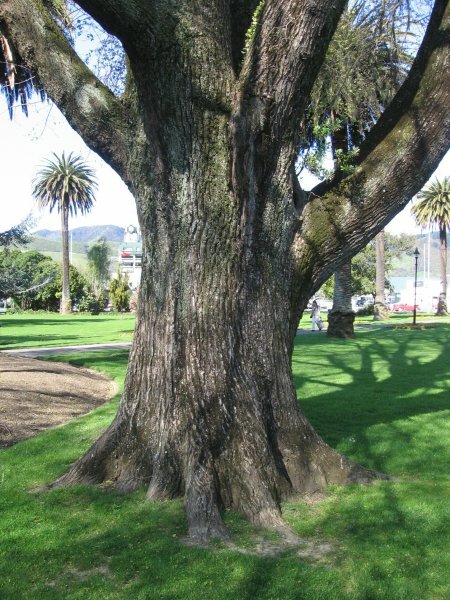 The tree was subsequently noted in Burstall & Sale's 1984 book 'Great Trees of New Zealand' as being 'believed to be the only large tree of this species in New Zealand (Cadwallader, B.G., 2010). Ref: Leigh, D.H. & Jolliffe, W.H. 1969. 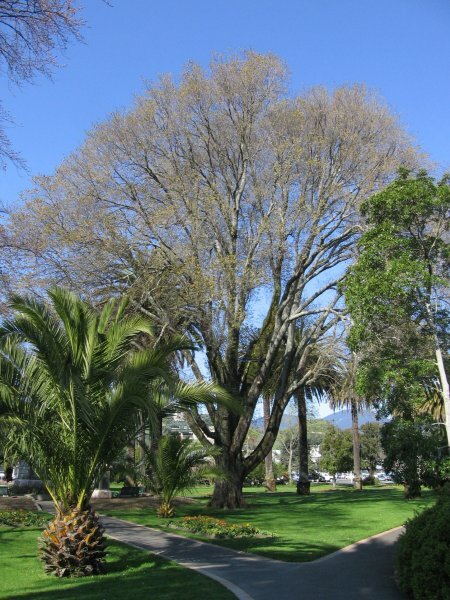 A Working List of Notable and Historic Trees of the Nelson Province. Note: 6.10.10 formal identification of fruit ruled out U. americana (CHR 610055) and confirmation of I.D is pending supply of leaf material. 18.2.13 leaves confirmed as U. xhollandica (CHR 624263). A large crack developed in the lower stem and the tree has been removed Split tree sparks concern. Nelson Mail 2 Feb 2013.
taken at 1.2 because of low branching. In good health, some mechanical wounding at base (Oct 2010). A broad spreading tree with end-weight issues & separation in canopy. Old disused steel hardware present. 'Cobra' & other bracing installed in mid-canopy. Propagating crack in lower stem (Oct 2010). 05 Oct 2010 Cadwallader, B.G. The tree was located close to the cenotaph.